In a world where we share all our favourite images on social media, it’s no wonder that everything is beginning to look the same. Unfortunately, architecture is not immune to vagaries of fashion and design. All too often, our homes are a mish-mash of global styles. Walk down any suburban street and you could pass a Tuscan villa, a French provincial mansion or a Spanish hacienda. And that’s before you hit the neo-Georgians or Victorians. Houses, apartment blocks – any building – must have a sense of place, according to expert opinion at the recent National Architecture Conference at the Gold Coast. Nimmo says people building a house or planning a renovation should consider their home in the context of the local community. He likes the old terrace house model because the emphasis is on the street, not on the individual house. Cultural memory, the history of a place, and cultural context – the way local people use a space – should also be considered, he believes. Smith agrees. “Resist the idea of falling in love with tropical architecture and trying to implant it [in the suburbs],” he advises. Basically, don’t go on holidays and try to recreate Bali in Melbourne or Sydney. Smith would like to see a design review board where architects vet big projects to improve standards. People planning to build suburban houses should look for inspiration from local examples of good architecture, such as Harry Seidler’s projects in south-eastern Melbourne, Smith says. High-density and apartment living can offer a quality lifestyle if done properly, Nimmo believes. He says places such as Sydney’s Potts Point and Elizabeth Bay are good examples of a traditional quality, high-density lifestyle. Phillip Rossington of BVN is another advocate for quality high-rise living. He’s working on the 70-storey Greenland Centre, which will be Sydney’s tallest residential tower when it is finished in 2019. High-rise balconies are often unusable due to the dangers of strong winds so BVN has developed a new concept for a protected balcony that will be pleasant to sit on even at great heights. These balconies will be like individual pods with a windscreen to offer protection. They’re not fully enclosed winter gardens but will have fresh air circulating. “We’re controlling the velocity of the air rather than trying to block it out altogether,” Rossington says. The “Sydney balconies” will have a solid half-metre-high wall to offer security, timber decking and vents below and above to allow the controlled air to circulate. People living on high floors will now be able to step out onto a traditional balcony 75 per cent of the year, he says. Balconies are an integral part of apartment living and the average size of a balcony increases as you go up the east coast, from Melbourne to Sydney to the Gold Coast. At the same time as innovating – whether it is balconies or cultural context – how do architects ensure the next generation of Australian design enhances the occupants’ health and wellbeing? This concept is a growing area of focus for the industry. 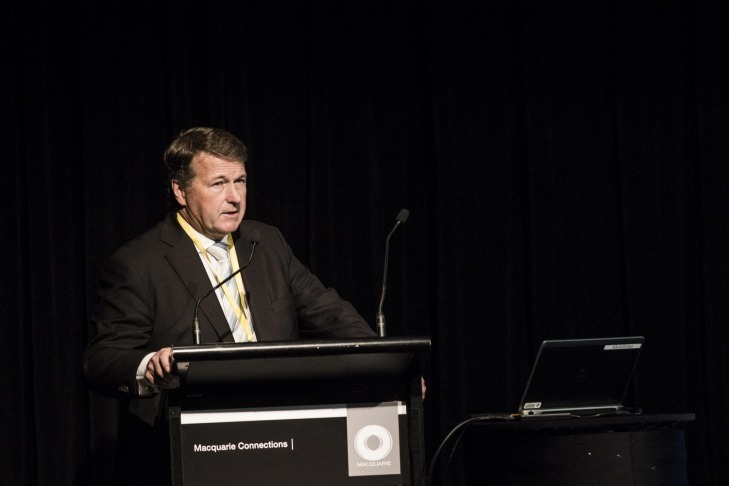 Mark Stevenson, an epidemiologist and professor of urban transport and public health at the University of Melbourne, told the National Architecture Conference that he uses a multi-disciplinary approach to analyse data on what constitutes our healthiest suburbs. “Healthier suburbs are ones where we see greater green space, reduced emissions or air pollution, not huge road networks running through housing developments – and greater public transport support,” he says. These types of suburbs are sought-after and attract higher prices. He says the timing is crucial for the development of our cities. “The time is now to be really exploring what we can be doing and how we can be doing things differently,” Stevenson says.